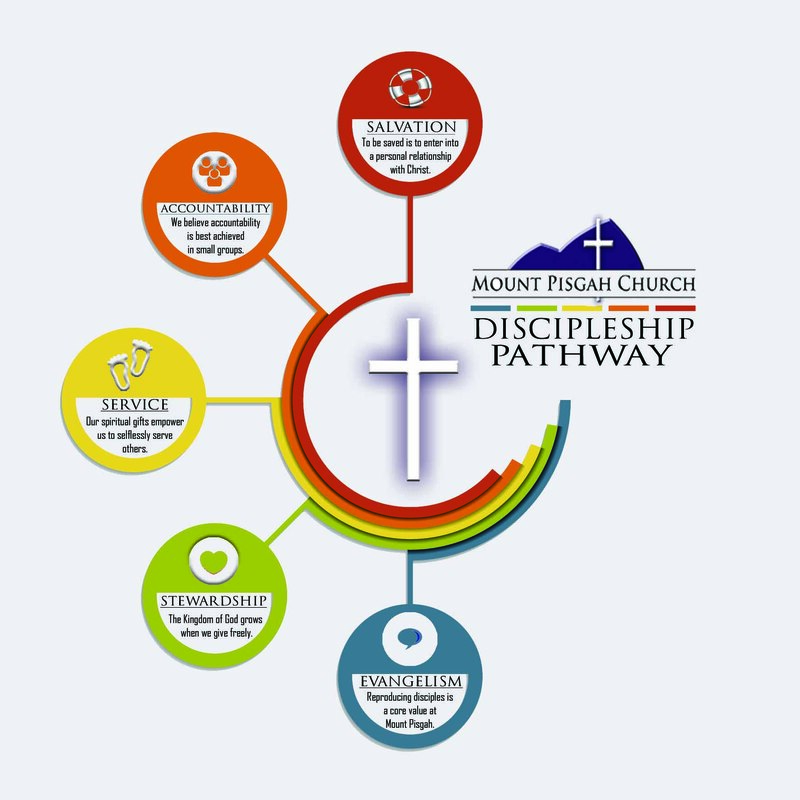 At Mount Pisgah, the command of Jesus to, “Go, and make disciples of all nations…” (Matthew 28:19) is a core value. We have created a pathway through which all people can enter into the process of becoming a disciple. It is our job to invite and encourage others along this pathway, while allowing ourselves to be encouraged and challenged along the same pathway. Individuals can enter the process at any stage. Movement along the pathway is as unique as each individual on the journey. We are so excited to come alongside you as you become more and more like Jesus Christ by being his disciple! To be saved is to enter into a personal relationship with Christ. We believe followers of Jesus Christ grow through accountability, which is best achieved in small groups. We believe that understanding, embracing, and employing our spiritual gifts is the foundation of our constant intention to selflessly serve others. We believe that the Kingdom of God grows when we embrace the power of stewardship by giving freely of our prayers, presence, gifts, service, and witness.